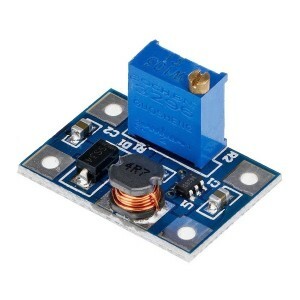 This module is capable of providing voltages between 2 V and 28 V, from tensions between 2 V and 24 V with efficiency of up to 95%. 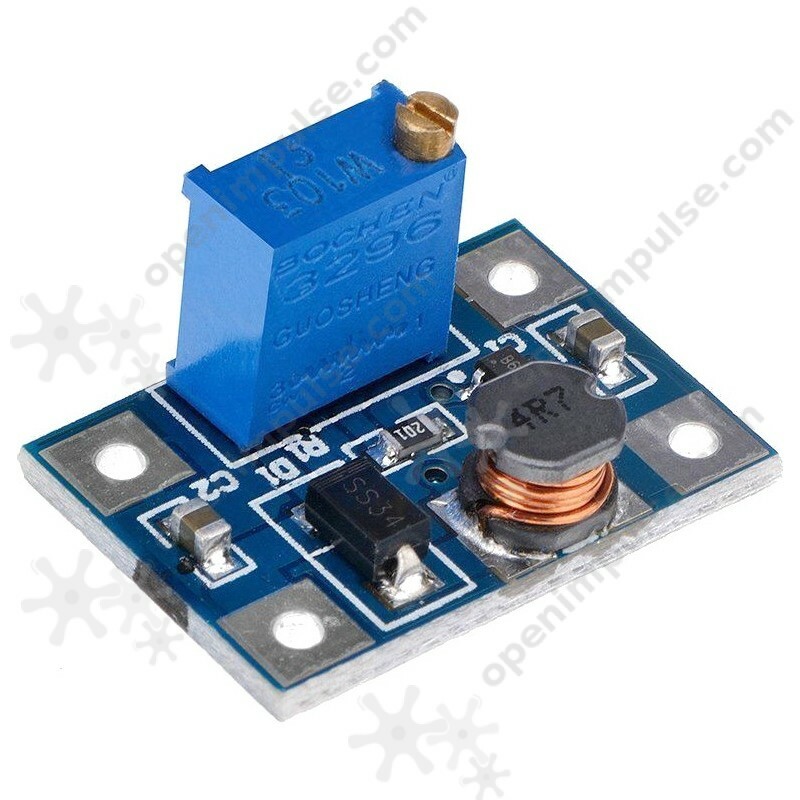 This module is capable of providing voltages between 2 V and 28 V, from tensions between 2 V and 24 V with efficiency of up to 95%. To obtain the coil as small size, it opted for an operating frequency of 1.2 MHz. The circuit can be used to build an elevating laboratory source voltage adjustable or can be easily included in your projects. 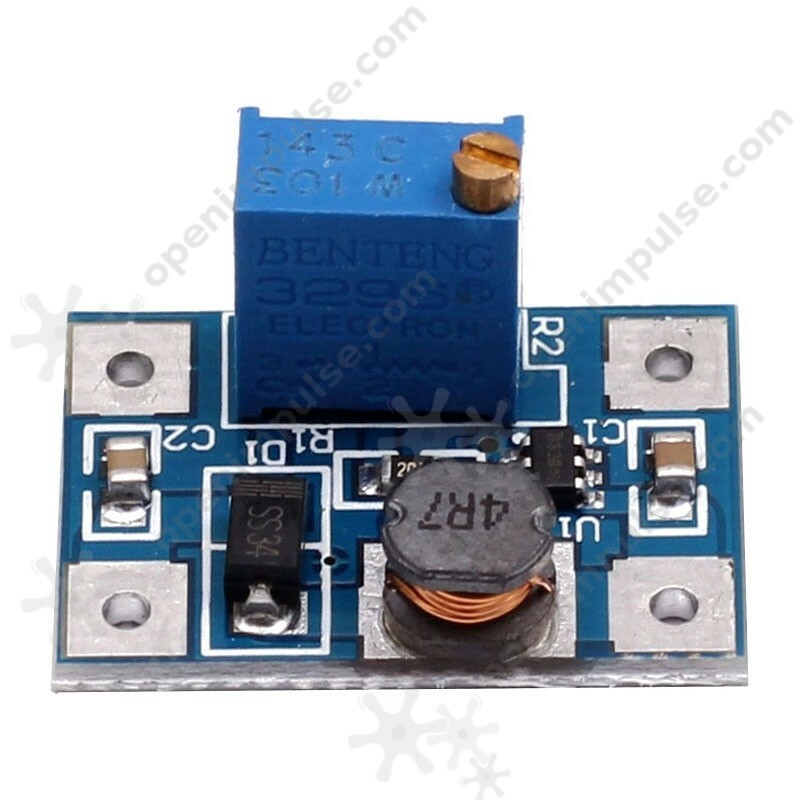 For example, you can use this source to fund your various types of circuits operating at 9 V, 12 V or 24 V, supplying a LiPo battery 1 or 2 cells 3.7 V or 7.4 V.